We're headed out west next week, to spend the summer with my family! Mountains, lakes, forests, small towns, cousins, grandparents, and all kinds of other good things. My 3-year old asks about 20 times a day how soon we're leaving. I'm looking forward to actually being there. Getting ready to go is another matter! Thank goodness we have lovely friends house-sitting for us, so there's a lot less to worry about (like poor lonely kitties). As a little summer treat for you, my lovely knitters, I'm having a sale in my Ravelry shop. The sale starts June 27 and runs until July 11. You'll get 15% off all my single patterns, and 10% off both my ebooks. No coupon code, and no minimum purchase required (just to make things simpler for all of us). 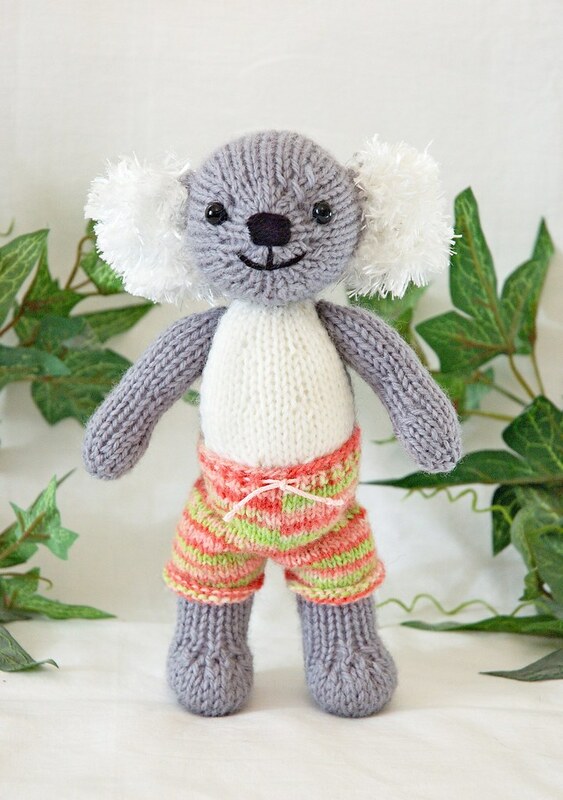 Why not pick a summery pattern, like the Alpaca with Bikini or Surfer Koala? 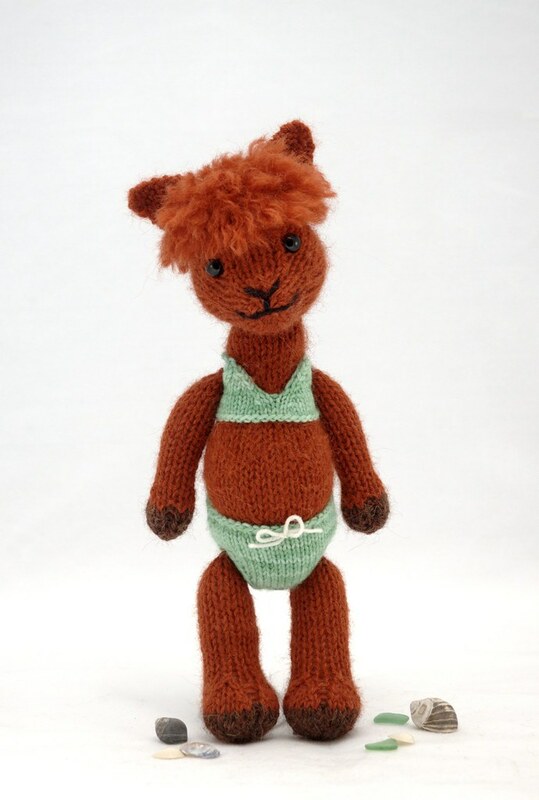 Or if you've done these already, knit summer outfits for your other toys! You could also try using a soft cotton yarn for more comfortable knitting in summer weather. I've been knitting up a bunch of Wee Wuzzies for gifts in un-dyed organic cotton. You can get all kinds of colours which are perfect for little animals (I've used this one, and really like it). Before we leave, I have a couple blog posts I'd like to get written. A small modification on the Pookies to make another cute animal, and I've just had a fun idea for a give-away. So check back soon! Posted by Barbara Prime at 3:14 p.m.